There are a few places so special, so unique, so dreamy that I can’t help but recommend them to everyone and anyone: Jicaro Island Ecolodge, a tropical private island hideaway in the middle of Lake Nicaragua, is one of those places. It’s been a few months since we left Nicaragua behind for continued travel in Latin America and extended stays in Ecuador and, now, Peru. Yet I frequently find my thoughts traveling back to our time at Jicaro - awakening to the roar of howler monkeys, morning cups of coffee enjoyed on our casita’s private deck, daily massages at the lakeside spa, sunset paddles in the shadow of sleeping Volcán Mambacho, and delicious meals of innovative organic Nicaraguan cuisine. For the bold nature seeker, Nicaragua is an adventurous alternative to the more-visited Costa Rica and, despite the recent media spotlight, still blissfully undiscovered. A scenic 15-minute boat ride through Las Isletas, a tiny archipelago of 365 volcanic rock islands clustered near Granada’s shoreline, delivers you to the dock of this remote retreat. Along the way you’ll see monkeys, local fishermen casting circular handnets, friendly islanders rowing between islands, and an amazing array of birds. What you won’t see are other tourists. 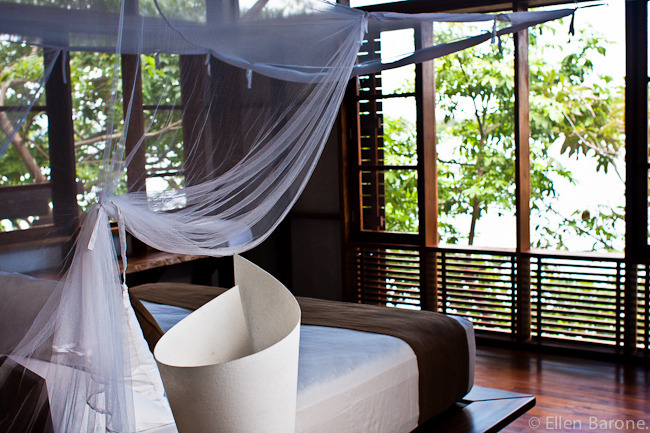 Jicaro’s nine, two-story lakefront casitas built from hurricane felled trees feature a second-story master bedroom at treetop height and a comfy first-floor living area that connects to a private water’s edge deck - a perfect perch for birding and, in the evening, to hear the chorus of chattering geckos. The outdoors is brought in via huge picture windows, Rainforest Alliance-certified woodwork and soft, earthy textiles made from organic cotton and bamboo. Add in tropical touches like whispy mosquito netting, slow swirling ceiling fans, oversized hammocks, and late afternoon “sundowner” drink delivery and it’s easy to forget you’re ‘roughing it’. A passion for conserving natural resources and establishing strong local ties is at the heart of the Jicaro Island Ecolodge experience. From giving back to their neighboring communities and preserving the natural environment the resort is committed to conservation - with the added value of cultural and environmental sensitivity. Good for the planet. Good for the local culture. And (here’s the clincher) good for you. All-inclusive rates include three meals daily from a locally sourced multi-course and a la carte menu, non-alcoholic beverages, and one round-trip lake transfer between Granada and Jicaro Island. While it’s easy to lounge the days away poolside or napping in the hammock, don’t pass up the off-island excursions, which include kayaking trips through the surrounding islands, tours of the Spanish colonial town of Granada, guided bird watching tours, zipline canopy adventures, and visits to the nearby Mombacho and Masaya volcanoes. The Jicaro Island Ecolodge experience is available only for adults and children age 12 and older and does not have air conditioning. Don´t forget to check out the resort’s Green Season (a.k.a. rainy season) discounts. Nicaragua is a natural and culturally rich destination for adventurous travelers looking to step off the beaten tourist path. It boasts a gigantic freshwater lake, with twin volcanoes rising from its center; mountain terraced coffee plantations; pristine Pacific beaches; Caribbean islands; well preserved Colonial cities; and very few tourists. 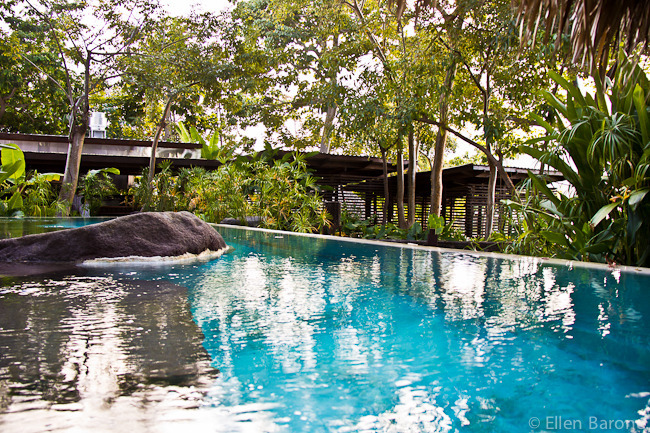 Learn more about travel in Nicaragua at: http://www.Visit-Nicaragua.com.